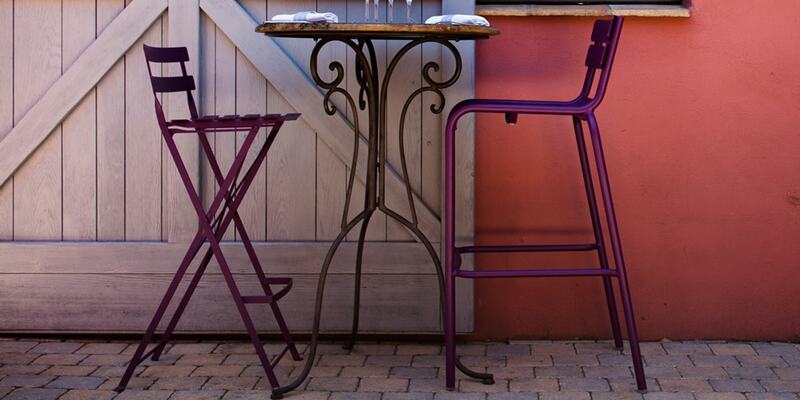 The Bistro Metal folding chair, the original! 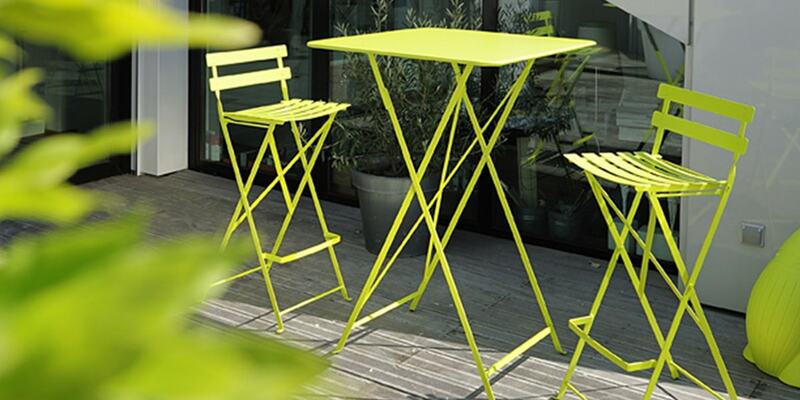 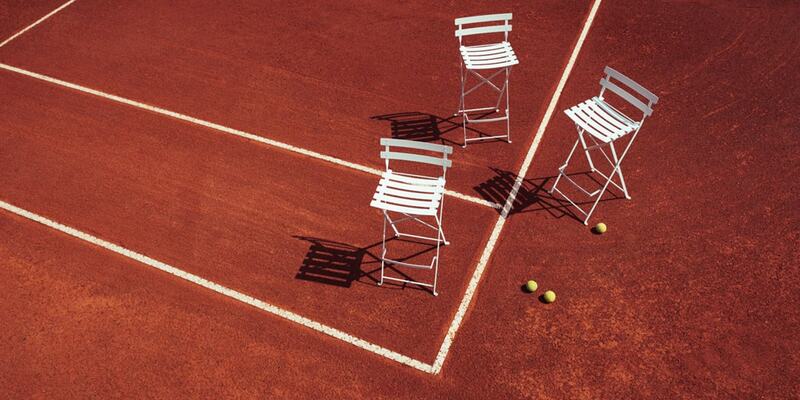 Since 1889 this Parisian classic of folding chairs was created by the French label Fermob. 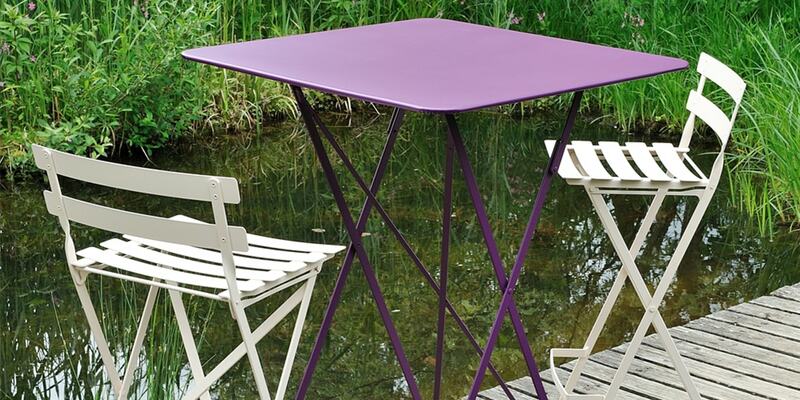 The nostalgic shape is spiced up with fresh, modern colours! 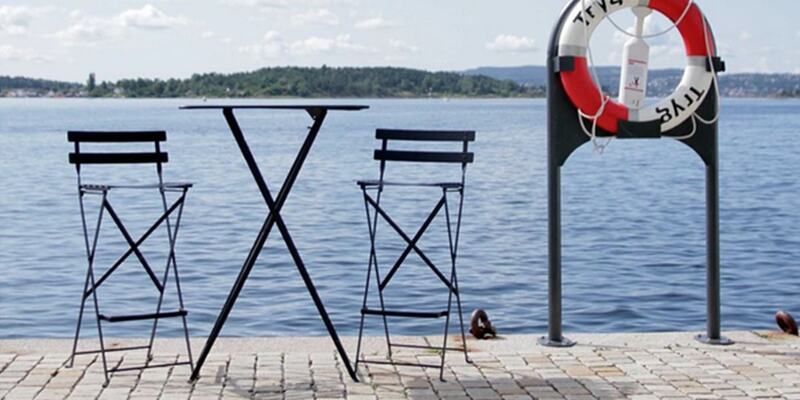 A bar stool that is resolutely urban and young at heart. 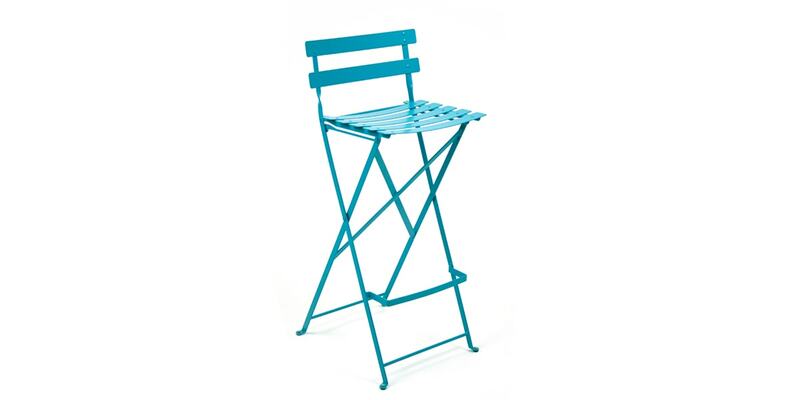 This folding stool incorporates the practical spirit that made the emblematic Bistro chair such a success.